The London Landmarks Half Marathon is not your average half marathon! From cultural landmarks to the city's quirky hidden secrets, you’ll get to explore our amazing capital on a route like no other. You’ll start on Pall Mall, finish by Downing Street and have fabulous views of London’s most iconic landmarks including Big Ben, St Paul’s Cathedral, Nelson’s Column, the Gherkin, the Shard, the Tower of London and the London Eye. We ask all charity place runners to pay a £17.50 registration fee (special early bird price) and to pledge to raise a minimum of £350 in sponsorship. 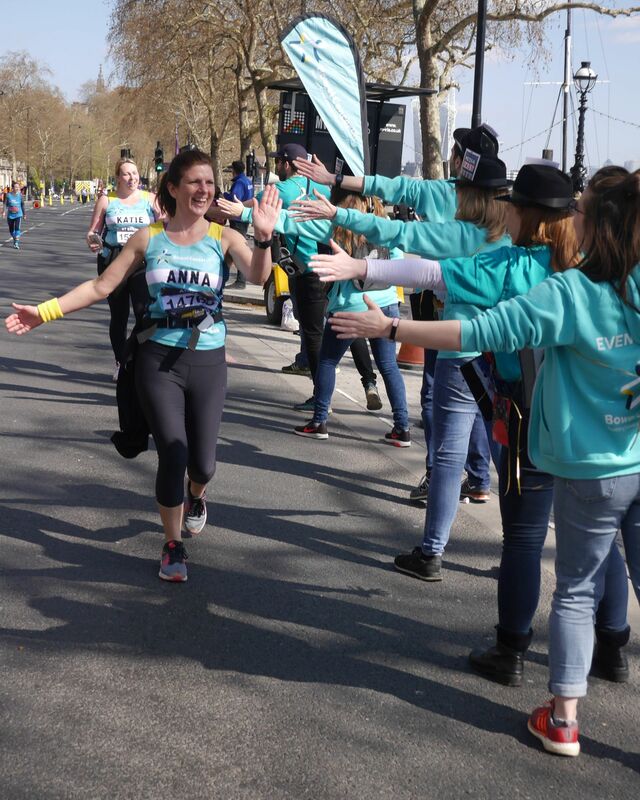 Our events team will support you all the way, from your initial welcome pack through to cheering you along the course and celebrating with you at our post-race reception. We will send you a running vest along with regular training and fundraising updates to make sure you have the best experience. If you have any questions about the event or the application process, email events@bowelcanceruk.org.uk or call 020 7940 1769.